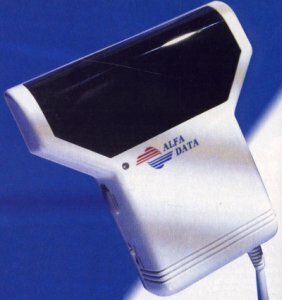 The AlfaScan Plus is a hand scanner for the Amiga which connects to the parallel port using the supplied interface. 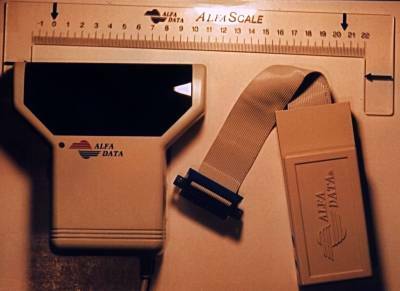 The scanner supports 256 greyscales and was supplied with a ruler and various applications for OCR, scanning and image manipulation. The parallel port adaptor does not have a pass-through.